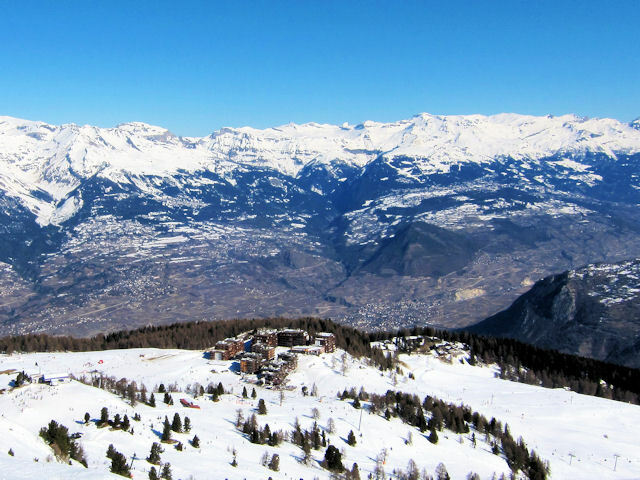 art of the extensive 4 Vallées area, although the furthest resort from Verbier, purpose-built Thyon together with Les Collons and Les Masses has some good local pistes for beginners and intermediates and connects up to some nice red runs above Siviez. 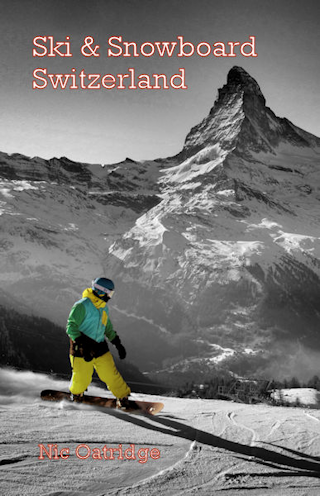 There are several lift passes available, the main options being whether to choose the Printse pass (including Haute-Nendaz, Veysonnaz, and Thyon/Les Collons) or one covering the entire region of 4 Vallées/Mont Fort - but note that from Thyon it can take some time to get beyond Tortin, or back. 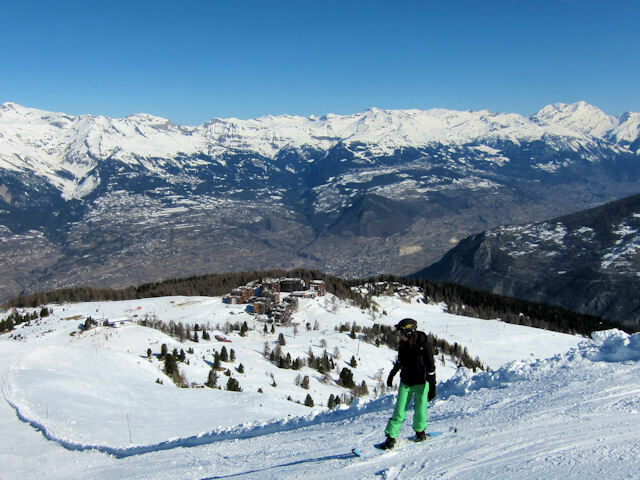 Thyon, Les Masses and Les Collons are popular for the good range of blue and gentle red runs, but for the more adventurous the black runs off Etherolla are spectacular. Note that the equally impressive red run alongside the Cheminée T-bar is fairly steep, as is the red down to Mayens-de-L'Ours. The road distance from Zurich is around 298 km and the journey time is roughly 3 hrs 18 mins. The road distance from Basel is around 271 km and the journey time is roughly 3 hrs 0 mins. The road distance from Geneva is around 182 km and the journey time is roughly 2 hrs 11 mins. The road distance from Lausanne is around 118 km and the journey time is roughly 1 hr 31 mins. The road distance from Fribourg is around 146 km and the journey time is roughly 1 hr 46 mins. 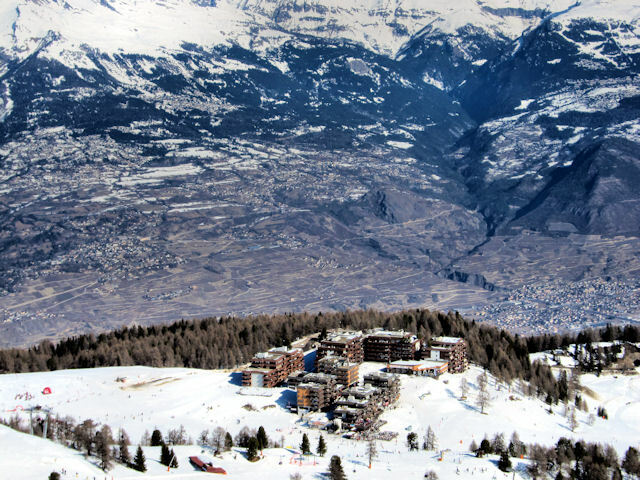 Other resorts in the ski area include Les Masses, Nendaz, Siviez, Veysonnaz and Verbier.